Amyloidosis cutis dyschromia is a rare form of primary cutaneous amyloidosis. Amyloid deposition in the skin occurs without systemic manifestations and produces hypopigmented and hyperpigmented macules. 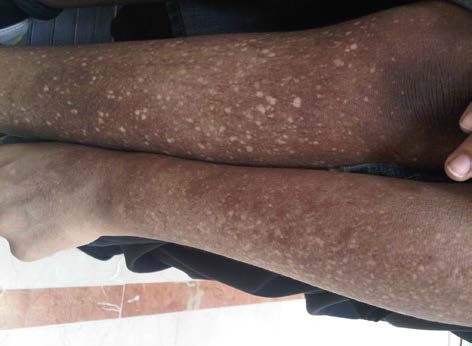 A 19-year-old woman is presented with progression of this condition over 16 years.